Choosing a club can be a challenging, and overwhelming process. The Washington Youth Soccer Club Directory can help you narrow the list to clubs in your area, but what then? The first, and most important thing, is to know your child’s goals as a soccer player. For some players, playing with their friends from school will be the most important thing, making a club close to home a better fit. Others might want the best coaches and highest-level competition, which could require looking outside your immediate neighborhood. Knowing what’s important to your player — and the time and money you’re willing to invest as a parent — is an important first step. 1. Find out if the soccer organization is a registered non-profit corporation, and/or federally tax-exempt 501(c)(3) or if it is part of an association that is. This is important, because organizations that are nonprofits have boards of directors that are responsible for ensuring the organization serves its mission and community. There is a transparency in the financial status of the organization, and all the money taken in by the organization is put into programming – no individual is personally benefiting from any revenue. This means that any revenue at the end of the season is reinvested back into soccer programs for the kids, making programs more affordable and sustainable over the long-term. 2. Find out if the club is affiliated with US Youth Soccer. US Youth Soccer clubs provide many benefits to players and parents, including comprehensive risk management policies (including insurance, national background checks, concussion awareness and more), professional coaching and referee development, community outreach programs, and — for the most skilled players — a direct pathway to Regional and National Teams. 3. Talk to parents and players in the club. Talk to the parents of other young players and find out more about their club. How qualified are the coaches? What are the practices like? How well does the club communicate with parents? No one will be able to give you as clear a picture of life as a member of a specific club than a fellow parent and/or player you trust. If you still can’t decide, attend a practice to see for yourself how the club’s coaches operate. Are the practices well-organized? Do the players appear to be enjoying themselves? Does the level of play seem to be a good fit for your player? Positive answers to these questions are all signs of a club that will likely help your child achieve success. 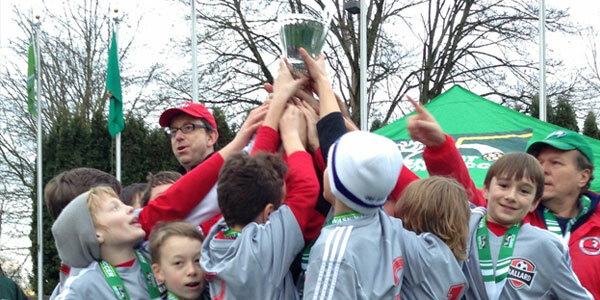 To start your search, use the Washington Youth Soccer Club Directory!